Communities take pride in the restoration of historic properties, which are the touchstones of civic pride and the building blocks of society. The King Street Station, Seattle, Washington was built in 1906 for the Great Northern and Northern Pacific Railways in the grand era of passenger travel by train. 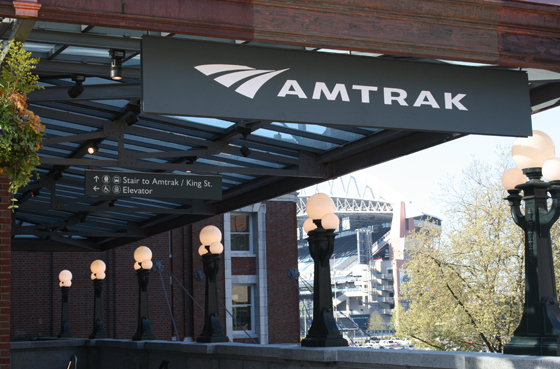 Today the station is home to Amtrak with adjacent connections to Sounder commuter rail, Link lightrail, city and regional bus. Mayer/Reed created a signage program that respects the station’s historic designation and character while integrating new wayfinding for the users of a modern day transportation hub. As we traveled by train between Portland and Seattle over the last six months for work we watched the restoration progress and recognized that this building holds more than historic significance. 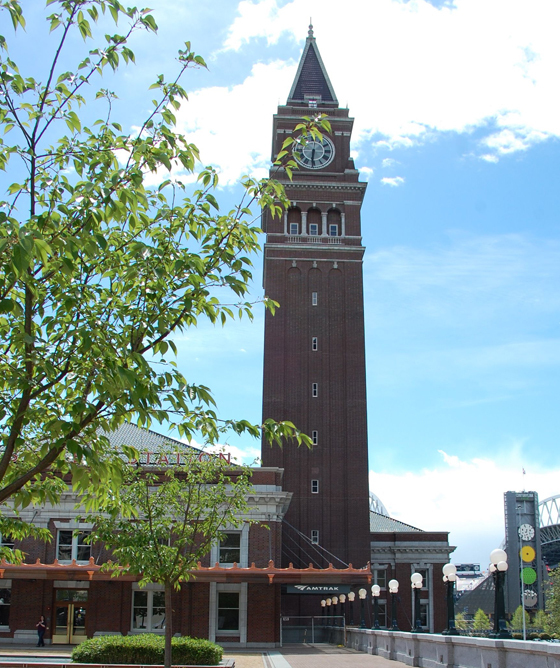 The station restoration is a grand gesture to the rebirth of rail transit in the Pacific Northwest corridor and Seattle/ Puget Sound region.